Home Things To Do	Sunday Smarty Share from SHARE Charlotte: S is for SummerSHARE! 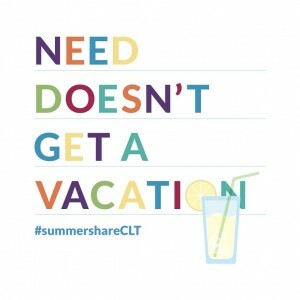 Sunday Smarty Share from SHARE Charlotte: S is for SummerSHARE! By Addie Rising, SHARECharlotte.com, a free, easy and local website that makes it easy to learn about and engage with our local nonprofits. We’ve crossed over the 4th of July holiday and we’re officially hitting the middle of summer. My kids are bored more often than not. And I’m not sure how, but my three managed to finish off a gallon of milk in half a day’s time. But in my house, I am thankful we can easily replenish the milk supply and go to our pool on an afternoon with nothing planned. For many neighbors in Charlotte, summer brings a time of great need. The milk isn’t so easily replenished and they rely on resources from local organizations. Did you know that summer is when Charlotte’s food pantries become depleted? Need does not get a vacation. Enter SummerSHARE, which runs July 11-22! Last year SummerSHARE supported 49 nonprofits to raise over 1,000 most-needed items in a two-week timeframe. This year, SummerSHARE has 77 nonprofit partners and we hope to raise over 3,000 items that they need right now to continue helping our Charlotte neighbors who rely on their services. The best part is, it’s SUPER easy to participate and you don’t even need to be in town. Visit www.summershare.org and browse through our Give Shop and select items to purchase. Those items will be shipped directly to the nonprofit’s doorstep! It’s that simple. But this year, we have a way to get the whole family involved and ease those midsummer “Mommmmm, I’m bored” cries that we are all too familiar with. Encourage your children to host a lemonade stand to support SummerSHARE! Invite neighbors to participate with you! Have your kids challenge their friends through Instagram to see who can pull off the best Whip and Lemonade-ade stand! 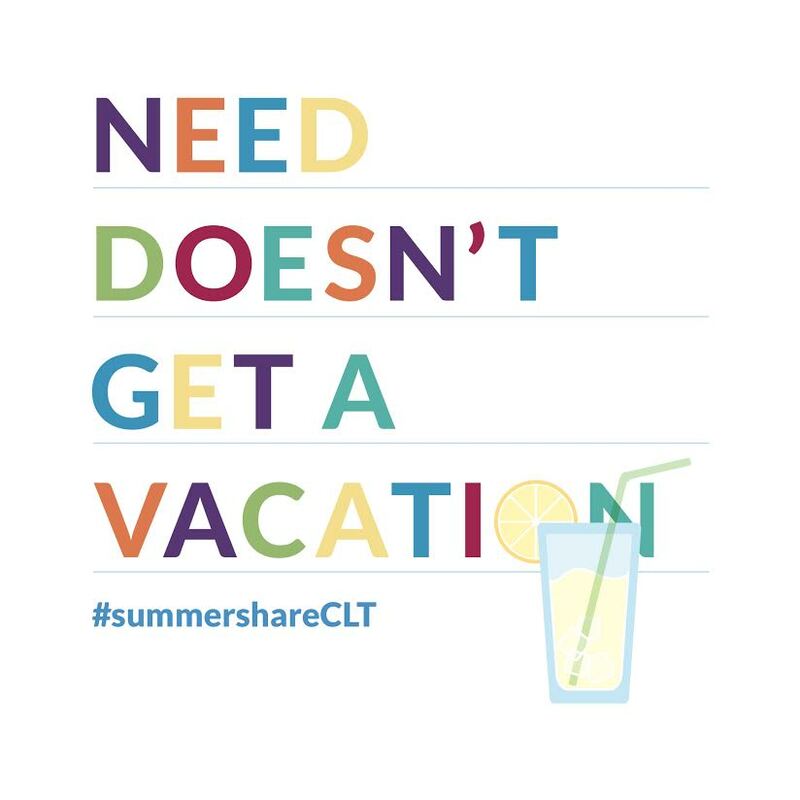 Share pictures on Instagram and Facebook — just make sure to use #summershareCLT and #giveneedavacay in all of your posts! 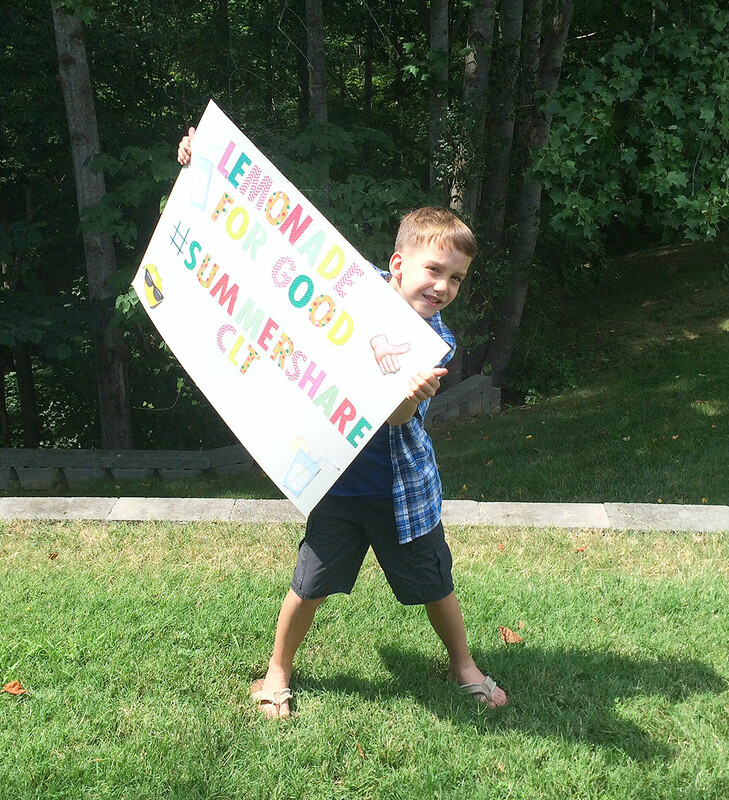 We can’t wait to see all your lemonade stands supporting SummerSHARE! SummerSHARE takes place July 11-22. Visit www.summershare.org to help #GiveNeedAVacay right now.